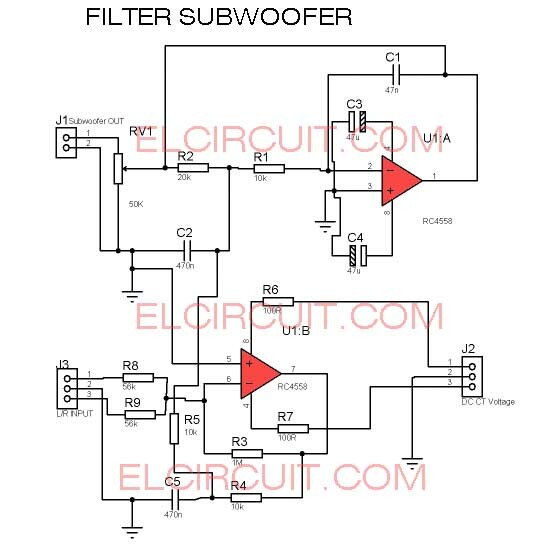 If the audio device has a bass tone quality that is less kick, to overcome that is by adding an active subwoofer/crossover filter subwoofer so that the tone other than the low frequency will not pass to the power amplifier and the sound coming out of the speaker bass tone will be more enhanced. 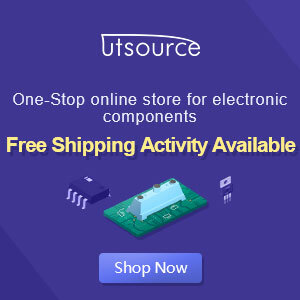 This circuit uses the main component of IC 4558, this IC can be easily found in electronic component supply store, this IC can also be used as circuit tone control as an op-amp. 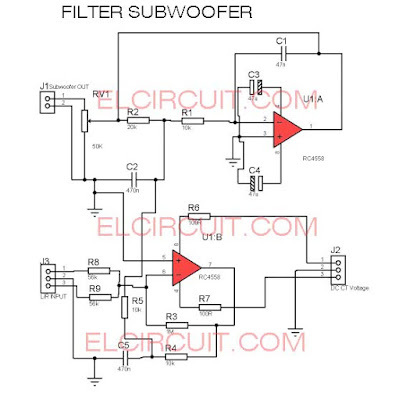 Below the schematic diagram filter subwoofer and PCB Layout design for easy to make it. 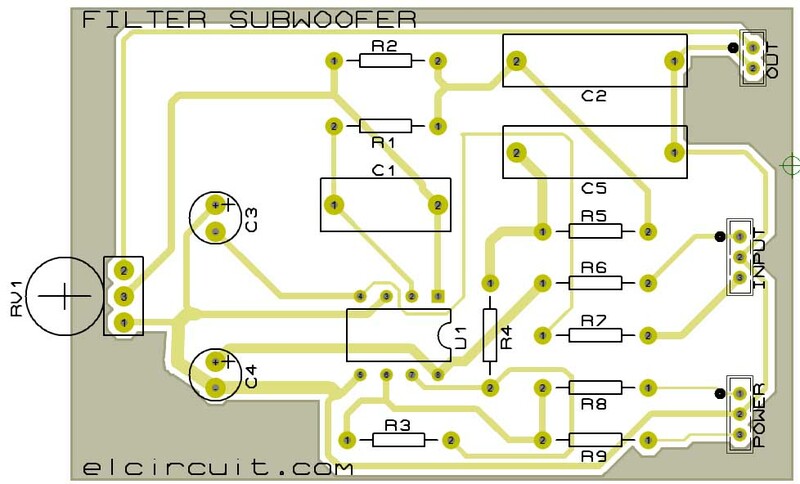 The input source can from a stereo signal, and output subwoofer is mono. 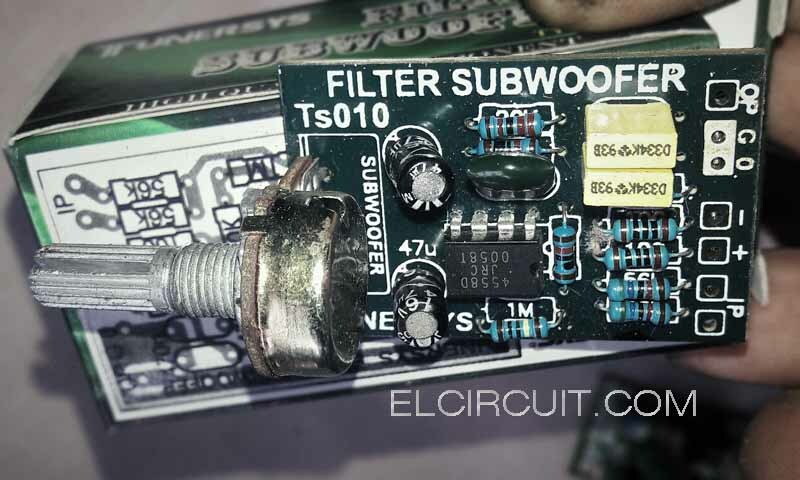 Input terminal on J3 Connector and the Output on J1 Connector. 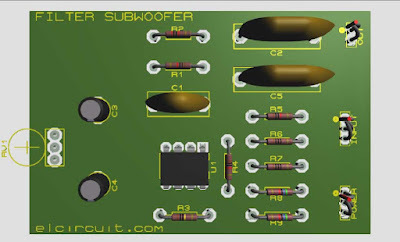 For Power supply circuit you can use symmetrical power supply ( CT ) at a 15VDC Maximum voltage and 12VDC Minimum voltage. 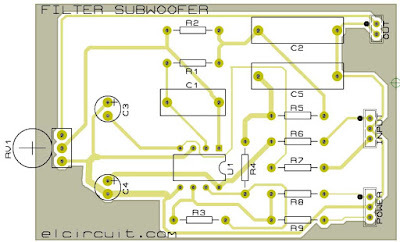 The connector power supply on J2. For you DIY'ers we as elcircuit share the PCB Layout design to make it easier, and this filter subwoofer is tested. Thanks , if you have any question, please tell me! kia ye circut ready kiya hua purchase kar sakte hain ?? ?